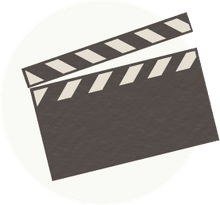 While not as highly regarded as other actor-director combos, like Alfred Hitchcock and James Stewart or George Cukor and Katharine Hepburn, Humphrey Bogart and John Huston collaborated on five films, four of which have stood the test of time as all-time classics. Combining Huston’s dramatic ambition with Bogie’s world-weary persona, their partnership was the stuff dreams were made of, and the two were kindred spirits both on and off screen. In fact, it was Huston who delivered the eulogy at Bogart’s funeral in 1957, showing just how deep their kinship went. In the end, Bogart won his only Oscar thanks to his work with Huston, while in turn, the director won his only Academy Award for Best Director for a film starring Bogart. Here are four great classic movies made by Humphrey Bogart and John Huston. Not only was this adaptation of Dashiell Hammett’s classic private eye novel the first collaboration between Bogart and Huston, it was also the director’s first time behind the camera after a decade as a top screenwriter. A remake of Roy Del Ruth’s 1931 film starring Ricardo Cortez, the Bogart-Huston version towers over its predecessor for its expertly crafted script, close adherence to the source material, and Bogart’s star-making performance as private investigator Sam Spade. 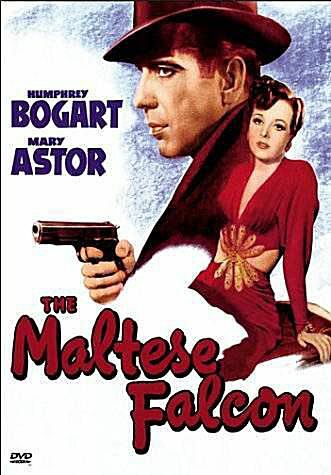 Hired by an imposter (Mary Astor), Spade and his partner (Jerome Cowan) are led into a tangled web that leaves Spade’s partner dead and drags the detective into a complex international scheme spearheaded by Kasper Gurman (Sydney Greenstreet) to find a jewel-encrusted falcon. Bogart wasn’t Huston’s first choice to play Spade – he initially wanted the more popular George Raft, who declined because he didn’t want to work with an inexperienced director – but fortune shined as Bogie quickly snapped up the vacant part, leaving the rest to history. The Maltese Falcon was a huge hit and earned an Oscar nomination for Best Picture, but most importantly commenced an incredibly fruitful collaboration between actor and director. Though they were close friends and immensely enjoyed working together, Bogart and Huston put off their next film for seven years. In that time, Bogart cemented his status as one of Hollywood’s most popular leading man with Michael Curtiz in Casablanca (1942), and Howard Hawks in To Have and Have Not (1944) and The Big Sleep (1946), while Huston did his patriotic duty with three excellent, but controversial propaganda films as a member of the U.S. Army’s Signal Corp. But the wait was worth it, as Bogart and Huston made what many consider to be their best collaboration, myself included. A dark morality tale of the evil caused by the pursuit of riches, The Treasure of Sierra Madre starred Bogart as Fred C. Dobbs, a down-and-out drifter who prospects for gold with his partner (Tim Holt) and a toothless old man (Walter Huston) and discovers a fortune. But the more gold they mine, the more paranoid and distrustful Dobbs gets, leading to a descent into madness and eventually turning on another. One of the best films of the decade, the film earned Huston an Oscar for Best Director while Bogart some of the best plaudits of his career. Made right on the heels of The Treasure of Sierra Madre, Huston’s noirish gangster movie Key Largo was another great film in this legendary collaboration. Co-starring Bogie’s real-life wife, Lauren Bacall, the movie was adapted from Maxwell Anderson’s Broadway play and featured Bogart as Frank McCloud, an embittered World War II veteran who travels to Key West, Florida to pay a visit to a dead war buddy’s widow (Bacall), only to be pulled into a situation where a fading mobster (Edward G. Robinson) tries to take over a rundown hotel owned by the widow’s father-in-law (Lionel Barrymore). Though resistant at first, Frank finally decides to get involved when three innocents are murdered. A richly textured film noir, the film tackled themes of morality and the unwillingness to take action in the face of great evil, making Key Largo Bogie and Huston’s most impressionable movie. While it’s tough to say which Bogie-Huston film is truly their best, The African Queen makes a good case for bestowing Bogart with his only Academy Award for Best Actor. Bogart was at his career best playing the booze-swilling Charlie Allnut, a gruff riverboat sailor tasked with ferrying prim and proper missionary Rose Sayer (Katharine Hepburn) through troubled East African waters. Naturally, their disparate personalities clash over his boozing and her moral judgments, though Charlie and Rose soon fall in love while devising a plan to destroy a German gunboat. A trying production, The African Queen was filmed on location in Africa under perilous conditions and chronic sickness among cast and crew – though Bogart claimed to have avoided illness thanks to avoiding local water in favor of his personal supply of whiskey. Made ten years after their initial collaboration, The African Queen was the last great film made between Bogart and Huston. They made their fifth and final collaboration, Beat the Devil (1953), which was released less than four years before Bogie’s death. Do You Have a Favorite '80s Song From a John Hughes Film?